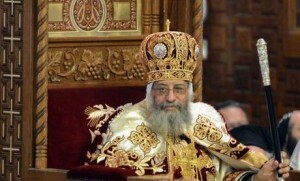 Egypt’s Pope Tawadros II on Tuesday accused President Mohamed Morsi of “negligence” in his response to deadly clashes outside Cairo’s Coptic cathedral, the worst sectarian crisis since he took power in June. Morsi had telephoned Tawadros after Sunday’s violence which saw crowds pelt mourners with stones after they emerged from a funeral service for slain Coptic Christians. Shocking television images showed police fire tear gas at St. Mark’s cathedral — symbol of the Coptic community which has long complained of discrimination and has been the target of frequent sectarian attacks. Morsi “promised to do everything to protect the cathedral but in reality we don’t see this,” Tawadros told the private ONTV channel in a call-in. 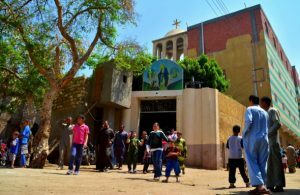 Two people died in Sunday’s clashes which erupted after the funeral service of four Christians killed in earlier violence in a town north of Cairo. One Muslim was also killed in those confrontations. Tawadros said the church had never before in its history witnessed this level of attack. “This flagrant assault on a national symbol, the Egyptian church, has never been subjected to this in 2,000 years,” Tawadros said. He called on authorities to take a strong position against such kinds of attacks. “There has to be a clear stance from the state … because matters now have crossed the limits of freedom of expression and have reached a level of chaos,” he said. “Some officials have expressed kind feelings, these feelings are not enough at all,” he continued. 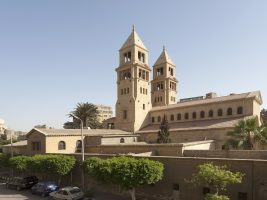 Following the attack, Morsi said: “I consider any attack on the cathedral an attack against myself,” and proposed to revive the defunct Justice and Equality Committee, which was established to look at promoting citizenship and equality. Hani Sobhi, a young Copt, explained that live television coverage of the funeral service during which Morsi’s Muslim Brotherhood was booed had been the spark for the violence. “Inside the cathedral we chanted ‘Down with the Brotherhood rule’ and that was aired live on television. At the exit, the people were ready and waiting for us,” he said. 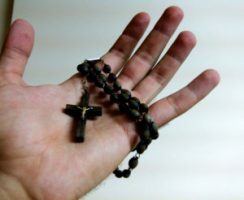 Christians account for between six and 10 percent of Egypt’s population of 84 million people.